All eyes will be on Pride Park Stadium when Derby County and Sheffield United square off against each other in the Championship derby. The Rams aim to put an end to their three-game winless run and we predict that they are going to adopt an attack-minded approach in Saturday’s football match. Frank Lampard’s troops, though, face an uphill task in the clash against the league leaders and, no doubt, they would be happy with the share of spoils. 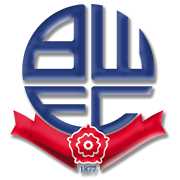 The Blades, on the other hand, emerged triumphant in each of their previous four league fixtures and they are surely brimming with confidence ahead of the trip to Derby. Anyhow, seeing that the Rams are tough to beat at home, a close encounter is on the horizon and we predict that the two teams are going to share the spoils at Pride Park Stadium this weekend. Tom Lawrence is a Welsh footballer who plays as a winger for Championship side Derby County. Born in Wrexham (Wales) on January 13, 1994, Tom Lawrence played for Everton and Manchester United during his youth career. The 180-cm-tall footballer, though, made no more than one appearances for the Red Devils in the Premier League as he was immediately sent on loan to Carlisle United. The Wales international played for the likes of Yeovil Town, Leicester City, Rotherham United, Blackburn Rovers, Cardiff City and Ipswich Town as well before signing a contract with Derby County. Tom Lawrence’s main position is left winger, but he is used as both second striker and right winger as well. The Derby County man made his Wales debut in November 2015 in a 3-2 loss to Netherlands. The highlight of his career is the goal he scored against Georgia in the 2018 World Cup qualifiers. His preferred foot is right and he wears No. 10 jersey at Derby County. Sheffield United are a professional football club that compete in the Championship. The Blades finished the 2016/2017 League One campaign in top position in the standings, with the team collecting exactly 100 points in the process. 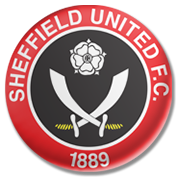 Sheffield United last competed in the Premier League in the 2006/2007 season and they were more than unfortunate not to secure the top flight survival. The Blades finished the season in 18th place in the process and it has to be noted that they were level on points with Wigan Athletic, who managed to avoid the relegation to the English second tier. Sheffield United welcome their rivals at Bramal Lane, the stadium which was opened on April 30, 1855. The current capacity of the venue is 32.702. The club have numerous rivalries, but the most notable one is the rivalry with their city neighbors Sheffield Wednesday. The two teams face each other in the Steel City derby and it has to be noted that United share rivalry with the likes of Barnsley, Rotherham United, Doncaster Rovers and Leeds United as well.